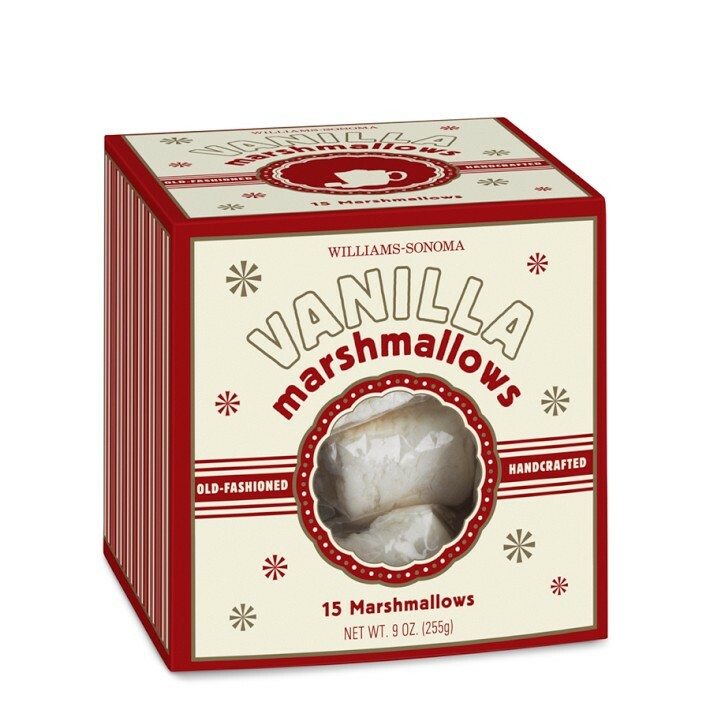 When we were in a big city a few weeks ago, Captain Cavedweller went to Williams-Sonoma and got me a box of these divine marshmallows. Each one is individually wrapped so every time you use one, you get that fresh, soft, just-opened flavor. I don’t know about you, but after a bag of regular marshmallows has been opened a few days, no matter how hard you try, they lose that pillowy-texture and super-fresh taste. These little jewels solve the problem! Made in the good ol’ USA with all-natural ingredients, the marshmallows are cooked in copper kettles, cooled on marble slabs, then cut into cubes and individually dusted before being wrapped. Which is, no doubt, why they taste so good. And unlike some marshmallows that disintegrate in your hot chocolate, these turn into a sweet, oozing bit of fluff in your cup. If you have an opportunity to give these a whirl, go for it! You’ll be glad you did. She Who Is Not a Representative of or paid by Williams-Sonoma. I just love their marshmallows!